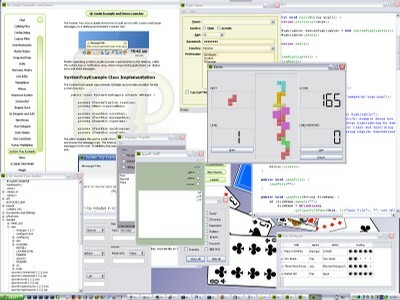 Qt® Jambi™ is a cross-platform, rich client application development framework for Java™. It includes a comprehensive class library and integrated development tools for high-end rich client application development. To organizations developing high performance, cross-platform desktop applications with Java, Qt Jambi increases development efficiency, adds freedom and flexibility to Java development, and lowers risk.Qt® Jambi™ is a cross-platform, rich client application development framework for Java™. It includes a comprehensive class library and integrated development tools for high-end rich client application development. To organizations developing high performance, cross-platform desktop applications with Java, Qt Jambi increases development efficiency, adds freedom and flexibility to Java development, and lowers risk. 在看過 Trolltech 提供的 Demo 後，只有一句話：「真是太棒了」!! 不信?? 您自己試試看! !